Adastra BC5A 2-way active monitor speaker set comprising a powered unit with stereo amp module and a satellite passive unit. Cabinet features overall Bass and Treble controls. 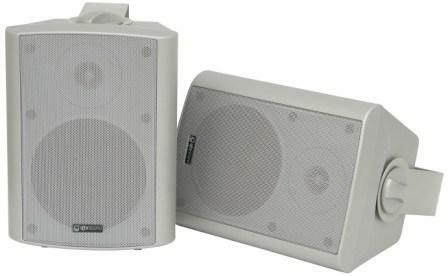 Designed for near field monitoring, home entertainment or as a small active background music system. Supplied per pair with mounting brackets and connecting leads.